While Halloween is a time to celebrate scary stuff, you probably don’t want to be frightened by your finances. While you may try to avoid scary financial situations at all costs, you never know when something bad will pop up and throw you for a curve. A recent study found that Americans’ three biggest financial fears are: 1) Not saving enough to retire; 2) Having no financial safety net; and 3) Not being able to get out of debt. Take our poll and tell us what your biggest financial fear is and then read on for some insight into how to deal with those fears. This is a big fear of many people, and for good reason: approximately half of families in the United States have no retirement account savings. With so many other expenses in your life, it’s easy to slip behind on your retirement savings. Don’t let this financial fear turn into reality. You hope that you never face a financial emergency, but there’s always a chance that you could find yourself in a tight spot – car breaks down and suddenly it’s difficult to get to work, for instance. There are many scenarios that could lead to financial trouble, such as an illness that prompts you to quit your job or serious damage to your home that’s not covered by insurance. If you have an emergency account, you’ll know where to turn for funds. Unfortunately, approximately 57 million Americans have no emergency savings. Does that sound scary to you? If so, now’s the time to start an emergency fund. Remember this: any bit of money you save for an emergency is better than none at all. Did you know that the average American family has more than $16,000 in credit card debt? Every month, many people do their best to dig out of this hole. But with all the expenses a household has to juggle, it’s not always easy to manage. Debt can also pile up from auto repairs, medical expenses, back taxes and a number of other personal situations. A debt consolidation loan is a simple way to bring it all under one umbrella and possibly lower your monthly payment. There is no worse feeling than receiving a foreclosure notice from your lender. This will immediately send chills down your spine, as you realize just how serious your situation has become. Every three months, 250,000 new families enter into foreclosure. There are a number of common medical procedures that are not typically covered by health insurance. However, if these procedures could alleviate pain or improve the quality of your life, you might want to proceed anyway. In fact, a recent Discover Personal Loans survey found that 26% of people cited medical expenses as the most popular potential use of a personal loan. Meanwhile, the average person spends more than $10,000 a year on health costs. 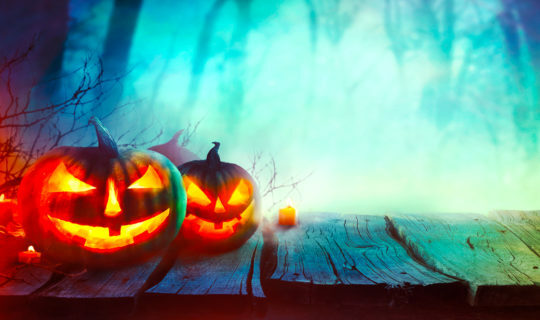 Halloween may be scary, but these financial situations can cause a lot of stress and anxiety. It may be a good time to learn more about how personal loans could help you save money in the long run.